When I picked up Leslie Simon’s Geek Girls Unite: How Fangirls, Bookworms, Indie Chicks, and Other Misfits are Taking Over the World, I was under the impression it was going to be a book about sexism in geek culture and how girls have been progressively carving spaces for themselves in geeky communities. I have absolutely no idea where this impression came from, but wow, was I ever wrong. This is of course absolutely not the poor book’s fault, but it resulted in me having to swallow my disappointment before I could appreciate it for what it actually is. Geek Girls Unite could just as easily have been titled, “So you want to be a geek?”. The layout strongly reminded me of the kind of magazine I used to read compulsively as a pre-teen, and this is clearly the result of a deliberate choice on the author’s part. Geek Girls Unite is divided into seven chapters, each about a different type of geek girl: the fangirl geek, the literary geek, the film geek, the music geek, the funny girl geek, the domestic goddess (aka arts and crafts) geek, plus one final chapter with miscellaneous types of geeks. Each chapter contain short, easy to dip into sections such as checklists, quizzes, style tips, and plenty of book, music, film, TV and website recommendations. In addition to this, the pages are decorated with illustrations and quotes from geek girl role models on the margins. 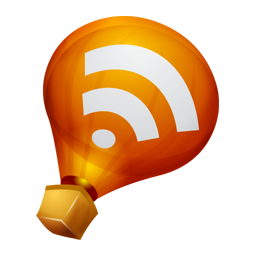 The similarities to magazines don’t end here: much like the magazines I read as a pre-teen, Geek Girls Unite is targeted to young girls who aren’t yet quite sure who they or what they like, and are therefore interested in trying out possible identities. I remember doing this often with teen magazines: I’d mentally play with the different styles they described, hoping to find elements in each one that allowed me to build something that actually felt like me. The crucial difference between those magazines I would read in the 90’s and Geek Girls Unite is that unlike the book the magazines clearly communicated that if you were a girl, finding out who you were amounted to discovering the best way to look pretty and attract boys. The identities they tried to sell to pre-teen and teen girls weren’t much more than Spice Girls-type fashion styles. I don’t think there’s anything wrong whatsoever with expressing individuality through fashion, but there’s far more to identity and to all the possible things a girl can be than just appearance. I really loved the fact that Geek Girls Unite privileges passions and intellectual pursuits rather than just looks. It validates and celebrates identities build around what teen girls are passionate about; it makes being smart and thoughtful and engaged sound every bit as stylish and appealing as any fashion choice. I also really liked the fact that Simon’s approach is so female-positive: there’s a clear feminist sensibility permeating the book, though as I’ll explain later I didn’t find it entirely unproblematic. I must confess that the tone of Geek Girls Unite drove me crazy sometimes, but I can easily imagine feeling very differently at ages eleven or twelve. I’m saying this not because I think that pre-teen girls are stupid, but because I realise that our sensibilities change as we age. Though I must say that even at eleven I might have felt that Simon was occasionally trying a little too hard to sound hip and down with the kids – I could perhaps have handled “n00b” and “skillz” on their own, but both on the same page was a little too much. 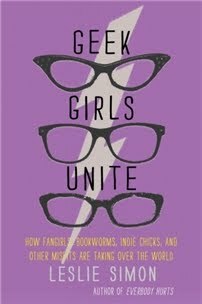 As I was saying earlier, Geek Girls Unite is full of lists of recommended books, movies, bands, TV shows and websites. There’s enough to suit every taste: as much as I may shudder to see Ayn Rand recommended as a feminist writer, Joanna Newsom summarily dismissed in the music chapter, and Buffy referred to as a “post-feminist” icon, I appreciate how useful these lists are to anyone trying to discover new things to love and not quite knowing where to begin. There’s enough here to send young girls in a thousand different directions and to keep them busy for a long while. There were, however, a couple of things more serious than not belonging to the target age group that bothered me about Geek Girls Unite: first of all, I didn’t much care for the let’s-point-and-laugh-at others-as-long-as-it’s-not-us-who’s-being-laughed-at tone of the book. Leslie Simon tries to redefine geeky as cool; but she does so in a way that demands adherence to traditional definitions of “cool”: definitions that are still exclusionary and hierarchy-based. The implication is that geek girls should understand that there are laughable and pathetic pariahs out there; it just so happens that they’re not them. This is best exemplified by the “frenemies” sections in each chapter, detailing who the “posers” that each type of geek girl is expected to mock are. The “frenemies” lists are of course tongue-in-cheek, but this still felt like a missed opportunities to construct a new definition of “cool” that isn’t merely based on redrawing the same old lines diving those who are acceptable and worthy of respect from those who aren’t. Doing this doesn’t have to require any sort of didacticism; just a little bit more empathy. John and Hank Green have achieved it very easily with the nerdfighter community. Finding someone else to hate is surely not the only possible way of telling geek girls they don’t need to be targets of social censure themselves, or of building up their self-esteem. When journalists asked [Winona Ryder] about the unfortunate events leading up to her acting hiatus, she blamed her breakdown on a battle with anxiety and depression. I blame it on a delayed reaction to the horrible dialogue in Autumn in New York. That drivel would send anyone on an uncontrollable shame spiral. My third and biggest problem with Geek Girls Unite is the extreme heteronormativity that permeates the book. The chapters contain sections describing each type of geek girls’ “perfect match”, and I would really have appreciated some sort of acknowledgement that not all geek girls will be straight. This could have been achieved very easily by simply being careful with pronouns, or by also including a few women in the lists of which celebrities each type of geek girl’s “dream boy” looks like. It makes me incredibly sad that a non-fiction book for teenagers published in 2011 completely erases lgbtq identities, especially when said book is all about acceptance, embracing difference, learning to be comfortable in your own skin, and finding like-minded people even though you might not fit in with the mainstream. Again, none of this has to do with expecting didacticism; just with expecting people to be thoughtful enough to remember to be inclusive. It’s very easy to image a 12-year-old budding geek who has already realised she’s attracted to girls and not boys feeling completely invisible in the face of Simon’s omission, and being left thinking that there would be no place for her in geek girl communities. Despite these misgivings, I’d still recommend Geek Girls Unite for the budding geek girl in your life. I know my pre-teen self would have devoured it in no time at all. Debi, there's nothing AT ALL wrong with thinking that the "buts" are too much for you to be able to enjoy this book. Just because I was able to find the book useful despite all the downsides it doesn't mean that I think everyone else has to or even should make an effort to - people's mileages vary, and they're definitely affected by their personal experiences. It makes complete and perfect sense to me that being the mother of a wonderful geek girl who is also bi and has been made to feel invisible for it in the past would affect your reaction here. So I saw this book a couple of weeks ago and took a pic of it w/my phone for future remembrance. Like you, I had the impression the book was more of a feminist-yay-for-the-proud-and-smart-nerdy-girls. Thankfully for me, you've corrected that thought. Heh. I'll give it some time and pick it up when I'm ready to feel a bit of nostalgia. How surprising! (a) about the turn the tables, let's make fun of others, and (b) the hetero stuff. What a disappointment! It's really too bad the book reinforces a clique mentality where Others are still mocked and looked down upon! In a way I suppose it's ironic that the book laughs at others because of the way "geeks" have been made to feel, but it isn't the right thing to do at all and just makes the situation worse. I like the premise, but the things you took issue with are very off-putting. I have a geek girl in my home, and all the points that you make about this book are incredibly interesting to me. I am not sure what to think regarding this book because it seems as if in it's attempts to normalize fringe social groups and behavior, there needs to also be some sort of ostracizing of others in different groups. And what's all this bull about geek girls having to find the perfect "guy"? Had this book been more gentle and inclusive, I would have considered giving it to my geek girl, but at this point, I think it would be best if she learns from her geeky mom. Nice review, Ana. It is interesting that the book has many recommendations - book, music, films, TV - for geek girls. Would love to see those recommendations. I liked very much your observation on the book ignoring the LGBTQ aspect. Heteronormativity - that is a new word I learnt today :) I will keep an eye for this book - I think it will make a nice gift. To quote Henry Jenkins: "There is always someone more extreme whose otherness can justify the relative normality of one’s own culture choices and practices." I do like the idea of celebrating geek girls, but I'm not sure I'd enjoy the tone of this book. There's no need to belittle others to promote yourself. This is an excellent review of a book that seems to have fallen short on multiple levels. I don't like the idea of adults talking down to kids/young adults by falling into the same traps of us vs. them that permeate schools and cliques all the time. It would be much nicer to just have a book say - Yeah, the cheerleaders are athletically awesome, but you're awesome in an entirely different way. Own it. Poor book! I would have thought the same thing you did about the content based on the title. In fact, I was looking forward to a review of a book about women/girls carving out a niche in geekdom. Oh well, you can't review "the book that wasn't"! Lol! I guess I'm on a "women carving out niches" bender. I just talked about it (kind of) over on my blog today. *sigh* Aaaaand I now totally covet the book you thought this was going to be. When you find that book, can you let me know? Huh... this sounds... interesting. Like you I had serious misconception about what this book was and feel rather let down by what it actually is. Also, erasure? frenemies? shaming? I'm not a fan. O wow, this took me down memory lane! Did you also read Ragazza or was that before your time? I'd like to read the book you thought this book was! I'm sure when I was a kid I would have loved this book. However, as you note, it is disappointing that a book written in 2011 needs to talk about "frenemies" like it does and has such an orthodox heterosexual focus. And Ayn Rand as a feminist? What's that all about? At least it focuses more on passion than fashion and being thin. Ana, thanks for giving "Geek Girls Unite" a shot. Even if we disagree on the intricacies of our geekdom, we geeky sisters have got to stick together! hm, I don't know what to think of this. Your reasons not to like it don't make me feel like rushing out to get a copy, but the reasons that you did manage to like it are interesting. It is a hard call! Your review has left me completely in two minds! The concept is a great one, and if when I was a teen I had been given a copy of this I would have really appreciated it. However as an adult the 'frenemies' element would really bother me. I suppose no book on life will ever be a perfect fit for everyone. Hmmm, I don't think I would be a fan of exclusionary tone, either. This book actually just came in at my library, and I probably would have checked it out if I didn't already have a stack of books waiting at home. Interestingly, it's going in the adult nonfiction section, not the juvenile section. I'm currently perusing your non-fiction tag in search of books to get for the library and THIS IS THE PERFECT BOOK. I want it so badly, for me AND for the girls. Thanks so much for bringing it to my attention.